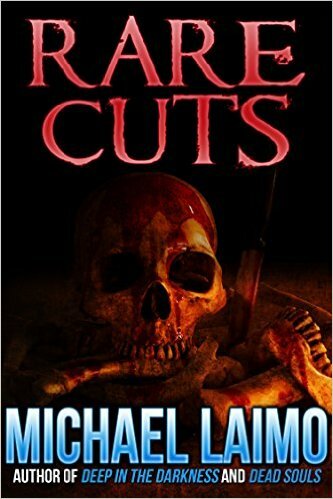 My fourth short story collection RARE CUTS is now available. This collection contains lots of rare stories, many of which have never been published. Check it out! It’s long, suspenseful, and in my opinion, my best novel. 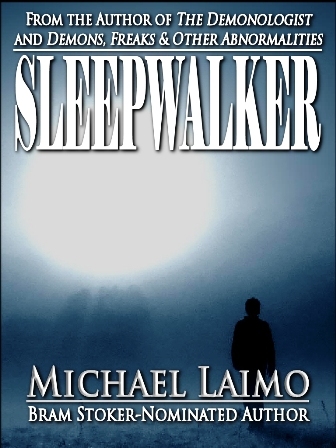 If you like the twists and turns of some of Dean Koontz’s older works (think Dark Rivers of the Heart), then you will LOVE Sleepwalker! There are always irons in the fire, and I hope to be able to announce some good news very soon! Deep in the Darkness is in the midst of a promotion. For the next week you can download a copy for .99 at BN.com and Amazon.com. On December 4th, Deep hit #1 on BN.com and #3 on Amazon.com in the horror e-books category. Yay! Thanks to everyone who bought a copy…I hope you enjoy it! The full trailer for Deep in the Darkness is now up on YOUTUBE! Please share this and help spread the word leading up to the film’s broadcast on May 23rd, only on Chiller TV! And, while you’re at it, download a copy of my novel…read it before you watch it on Chiller TV! My novel FIRES RISING has just been released in audiobook. This will mark my fourth audiobook, the others being DEAD SOULS, DARK RIDE, and SLEEPWALKER. Please give it a listen! So…I know. I’ve been quiet. I have been busy, however, with a career that has treated me well, and a fun-as-all-hell party rock band that has sucked a lot of the creative energy I used to put toward writing. Am I still writing? Well, yes, but not as much as I used to. It all boils down to dollars and cents. I can write a short story in a week, and get about $100 for it. And I’ve got a handful of new ones that wait patiently for an editor to ask for them. I simply don’t look to be published any longer. Well…that’s not entirely true either. I look to make a living. Whether it be my regular paycheck, or a gig with the band where I make that same $100 (and many times, a lot more) for a few hours of adrenalized fun-as-all-hell guitar playing. And then there’s my writing, or to be more specific, what I have written. I’ve got 10 books out there. Seven novels and three short story collections. They are all in e-book, some in audiobook, and many of them are seeing print now for the first time in other countries, such as Germany, Poland, and Italy. DEAD SOULS came out as a feature film in 2012 and DEEP IN THE DARKNESS pick against spread is on the way. And guess what? I am making more money now writing every now and then than I did a few years back when I was sweating blood onto paper. I have a half-novel called MISSED CONNECTION that is funny as hell and just itching to be finished. Maybe I’ll get to it. Maybe someone will pay me to finish it. That’s what it all boils down to. I’d never thought I be saying this, but my love for the almighty paycheck has overtaken my love for the craft.